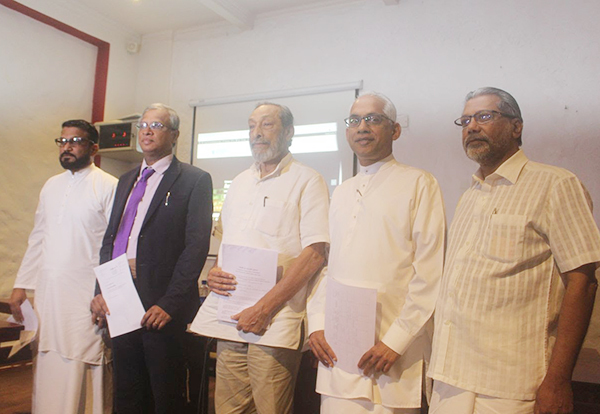 A group of 5 members of parliament from across party lines came together today to publish their declarations of assets and liabilities in the public domain. The five MP’s who came forward to take this step towards changing the political culture of the country were, Tharaka Balas uriya, Vasudeva Nanayakkara, M.A. Sumanthiran, Vidura Wickramanayake and State Minister Eran Wickramaratne. Obeyesekere added, “This will help open Parliament to the people and promote a culture of transparency and accountability, further bridging the gap between the people and their representatives. It has been TISL’s longstanding position that putting information in the hands of the people is the key to enhancing governance in Sri Lanka”.